A light honey with a sweet, candy-like flavor. Perfect for baking. Yellow Star Thistle thrives throughout Northern California and is one of few that blooms during its hot, dry Summer season. Their natural honey is unheated and unpastuerized, allowing the honey to retain all of the pollens and enzymes. All of their honeys are also certified Kosher. 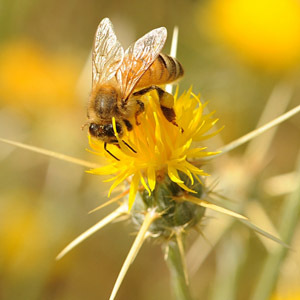 Each honey is specific to a single floral source and geographic location contributing to their unique flavors, colors, and aromas. A soft, fresh, vegetarian, cream cheese from the Lombardy region of southern Italy. In fact, it is not cheese at all, but rather the result of a culture being added to the cream skimmed off the milk, used in the production of Parmesan.